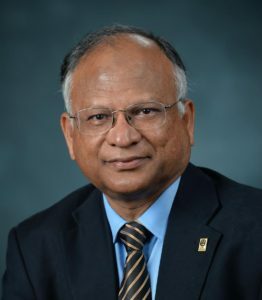 Louay Mohammad is a Irma Louise Rush Stewart Distinguished Professor and a director of the Engineering Materials Characterization and Research Facility at the Louisiana Transportation Research Center (LTRC) at Louisiana State University. He currently serves as the Flexible Pavement Section Editor of ASCE Journal of Materials in Civil Engineering, Associate Editor of the Journal of Engineering Research and International Journal of Pavement Research and Technology. He has been recognized with the 2013 Best Paper Award of the 8th International Conference on Road and Airfield Pavement Technology, 2010 Distinguished Research Paper of the Journal of Engineering Research, and the 2002 AAPT Board of Directors Award of Recognition. Hussain Bahia is Distinguished Professor and Founder/Director of the Modified Asphalt Research Center (MARC) at the University of Wisconsin-Madison. He is Chair of the Working Group 7(Binders and Mastics) of the International Society of Asphalt Pavements (ISAP). He served as the Chair of the RILEM Technical Group 2 on Mixture Design and Compaction of the Advanced Testing of Bituminous Materials Committee of the RILEM International Organization. He provides consulting services for a number of companies and road agencies in the USA, South America, Africa, and the Middle-east. Abstract: While distresses in surface treatments are somewhat different than the HMA layers, the testing procedures and the critical factor affecting performance remain similar. This presentation will cover the ideas and concepts used to propose a Performance Related Specifications for emulsions and hot binders used commonly in surface treatments. Susan Tighe is an Endowed Chair Professor in Sustainable Pavement Engineering and a founding member and director of the Centre for Pavement and Transportation Technology (CPATT) at the University of Waterloo. 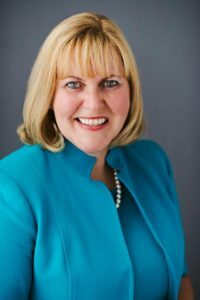 She is the President Elect of Canadian Society of Civil Engineers (CSCE). She is a member of the inaugural class of the New College of Scholars of the Royal Society of Canada and was named one of Canada’s Top 40 Under 40 for her leadership and vision with respect to the Canadian Transportation Community. She received the Transportation of Canada Academic Merit Award, Inaugural Bleeds Black Award from the Ontario Hot Mix Producers Association. Abstract: Transportation infrastructure is experiencing changed climate conditions due to global warming and human activity. Various fragility modeling frameworks will be presented which evaluate the risk associated with these natural disasters. Recommendations for build-in resilience strategies for floods and other potential natural hazards will also proposed for future infrastructure design and hazard management. Waheed Uddin is Professor of Civil Engineering and Director, Center for Advanced Infrastructure Technology at University of Mississippi. While working at the United Nations, he has made presentations worldwide in 29 countries. He published a book on “Public Infrastructure Asset Management” and currently serves as Editot-in-Chief for International Journal of Pavements. He received 2016 iSMARTi Achievement Award, 2015 Engineering Senior Research Award, and 2014 Award of the University of Texas Academy of Distinguished Alumni of Civil, Architectural, and Environmental Engineering. Abstract: Natural disasters are increasingly becoming more frequent and pose destruction threats to economic and social well-being, human lives, and industrial and commercial supply chains worldwide. This presentation is focused on disaster resilience management of public infrastructure assets in cities and the built environment to minimize adverse impacts of natural disasters. Examples of computational modeling and risk mapping are presented for selected port cities.